Lakshman Achuthan of the Economic Cycle Research Institute (ECRI) spoke with CNN this morning about the role of stimulus in the economic recovery, how "recovering" is quite different from "recovered," and when jobs growth can be expected to begin. Growth last quarter, the first quarter of recovery, at 3.5%, is higher than the last two economic recoveries. Economic growth will be stronger than many suspect. The broad based nature of the recovery says that good GDP growth will continue at this good rate for some time beyond this "sugar high." There WILL be job growth due to the broad based nature of the recovery. Indicators beyond those stimulated by government spending are showing a strong recovery WITH JOBS is on the way. Lakshman Achuthan also spoke with Anthony Mason of CBS News today in this video titled "Financial Road To Recovery"
Enduring staggering setbacks for more than a year, the U.S. economy is reportedly now experiencing a noticeable rebound from the recession. Anthony Mason looks at whether it will last, and when firms will start hiring. The recovery is more than the stimulus package. This is very much inline with an economy that is growing of its own merit without government support. The recovery has "begun" but it has not yet "recovered." Monday Bill Gross, the manager of the largest US Bond fund PIMCO, said that the end to the Federal Reserve's debt buyback programs could add selling pressure to several credit markets, including U.S. Treasuries but he sees inflation remaining low for many years. "It's obvious that the programs in the United States, the Federal Reserve buyback programs ... those purchases and that purchasing power will cease within the next three to four months," Gross told CBC News Network. "So, to the extent that that's gone, then perhaps the upward influence in terms of those longer-term Treasuries will be felt more strongly in the next several quarters." Translated: Less demand for US Treasuries means interest rates will go up. Higher rates mean bonds and bond funds will lose some value. If rates go up a lot, perhaps due to high inflation or a dollar that continues to lose value, then foreign investors will be less inclined to purchase our debt, further pushing rates higher. "There's substantial excess capacity not just in terms of production but certainly in terms of employment," he said. "That excess capacity will reduce the potential for inflation. We see inflation at zero to 1 percent for a number of years going forward." IF I thought inflation would hold between zero and one percent for the next three years, then I'd believe US Treasuries, GNMA bonds and bond funds not indexed to inflation look like a good investment. Mr. Gross is compensated for managing bond funds so it is in his best interest for everyone to think bond funds are a good investment. Also, I believe Mr. Gross is a long-time democrat who supports spend, spend,spend and borrow, borrow, borrow here in CA and now in the US of A. He may not believe deficit spending leads to inflation because it weakens the US dollar which makes importing manufactured good and raw materials more expensive. Perhaps he believes our collective salaries will drop faster than the cost to import commodities and manufactured goods will go up. Gross also said he believes emerging economies will grow faster than the U.S.
"The emerging world, whether it's in Asia, Australia or other associated countries, will do much better from the standpoint of growth, and that's where money should eventually move to. It moves there because of higher profits and it moves there actually because of higher real interest rates." A share of Intel pays a 2.90% dividend and benefits from overseas growth with a product few can afford to compete with. I own Intel (INTC charts). Intel's dividend is better than a 5-yr treasury and Intel will benefit from emerging growth. Unlike a US treasuries, Intel will probably continue to raise its dividend. I bought Intel for my personal account at a split adjusted price of $3.67 back in April 1993, 16.5 years ago. Today's dividend of $0.56 is like getting 15.3% on my original purchase. Unlike a US Treasury bond that returns the original investment when it matures, Intel is worth 545% more than what I paid for it. 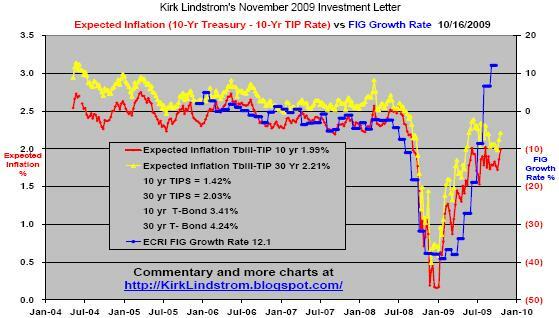 That is why I buy good stocks in growth industries for long-term inflation protection you don't get with Treasuries. 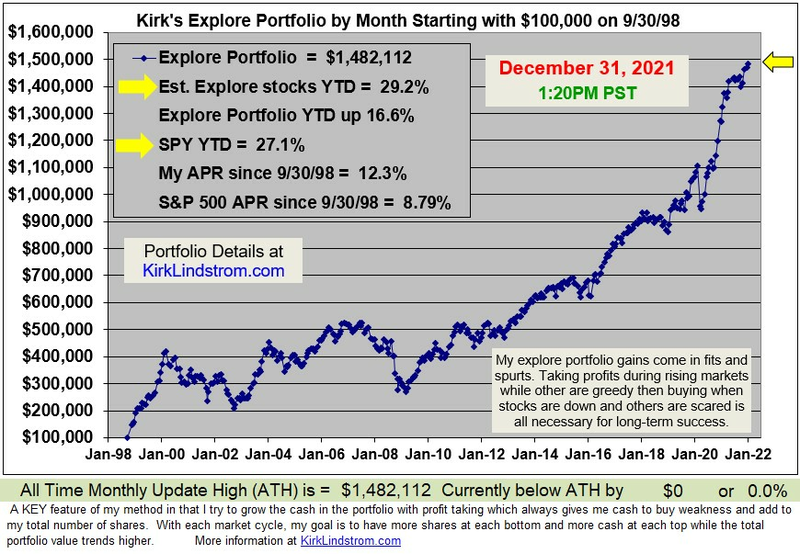 Disclaimer: I own Intel in my personal portfolio and I cover it in "Kirk Lindstrom's Investment Letter" (Free Sample) where I buy and sell it when price targets are reached. The top rate for a certificate of deposit (CD) this week is at Pentagon Federal Credit Union (fondly known as PenFed CU) where you can get a 7-year certificate that currently pays 4.00% APY. 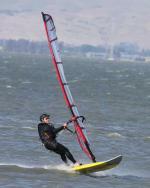 For shorter terms, UmbrellaBank.com has a 1-year CD with a 2.06% annual percentage rate. The one year US Treasury rate is currently 0.39%. With rates so low, banks will try to sell you their annuity products. Make sure you read our article: Beware of Annuities. 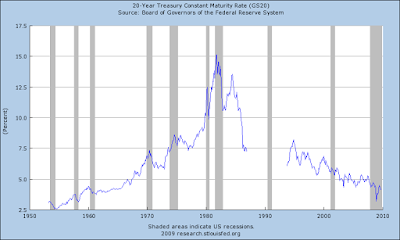 CD and US Treasury rates are lower than at any time in the last 45 years. 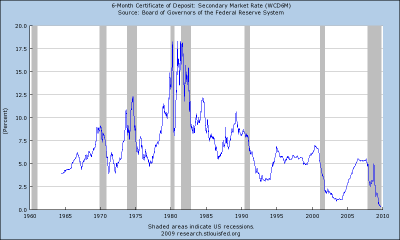 Click the graphs below, courtesy of the St. Louis Federal Reserve, to see full size images. Expectations for future inflation are low. 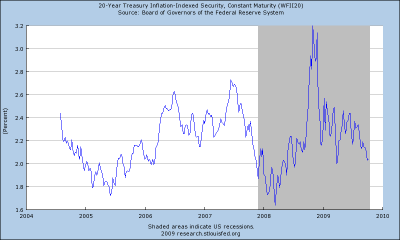 Expected Inflation or TIPS Spread is the difference between nominal US Treasury bond rates and rates on US Treasury Inflation-Protected Securities. This spread is an indicator of expected inflation. 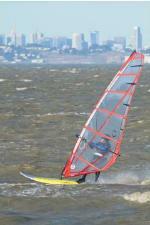 Supply and demand issues can distort the spread so buyers need to beware. For example, the Federal Reserve has been busy buying US Treasuries to help banks and the economy by keeping rates low, perhaps artificially low. This spread could widen when the Fed stops buying treasuries or goes into tightening mode. 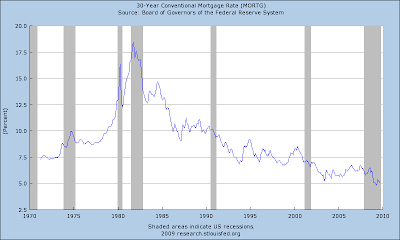 If you believe massive government spending using debt rather than taxes to pay for it will cause inflation, then you will want to lock in a low mortgage rate now before mortgage rates return to 1970s levels. Today, October 16, is the average best day to enter the stock market based on the "Seasons in the Sun Strategy." Sy Harding applies his own special twist to the "Seasons in the Sun Strategy" which he calls his "Seasonal Timing Strategy" or STS for short. This system has worked well in past years, but followers this year missed a gain of 29.9% by being in low yielding cash. One can only hope they were not short the market! Harding applies the Moving Average Convergence Divergence indicator, or MACD, to the S&P500 after the average best time to enter the market, October 16, following the "sell in May and Go away" strategy. 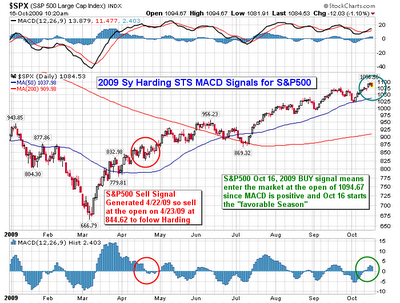 According to Harding, if a rally is underway and the MACD is positive, then STS gives a "Buy Signal" to enter the market on October 16th. The MACD is positive so followers of Sy Harding should have bought at the open of 1,094.67 today. The idea is that if a rally is underway when the October 16 calendar date for seasonal entry arrives, as indicated by the MACD indicator, we will enter at that time. However, if the MACD indicator is on a sell signal when the October 16 calendar date arrives, indicating a market decline is underway, it would not make sense to enter before that decline ends, even though the best average calendar entry date has arrived. Instead, our Seasonal Timing Strategy simply waits to enter until MACD gives its next buy signal, indicating that the decline has ended. Sy Harding will use the same indicator to look for the favorable exit point from the market when the MACD gives a sell signal any time after April 20. "Investing for the Long Term" facebook forum "Sy Harding - Seasonal Timing Strategy (STS)"
Sy Harding is president of Asset Management Research Corp., DeLand, FL, publisher of The Street Smart Report. This article is my "interpretation" of public information posted by Sy Harding. Harding may have changed his formulas and not written about it while keeping the old info on his web site which you would only know for sure by subscribing to his service. This table, updated today, shows the best CD rates for the five largest banks operating in the United States. These banks are Bank of America, JP Morgan Chase, Citibank, Wells Fargo Bank, and HSBC Bank North America.